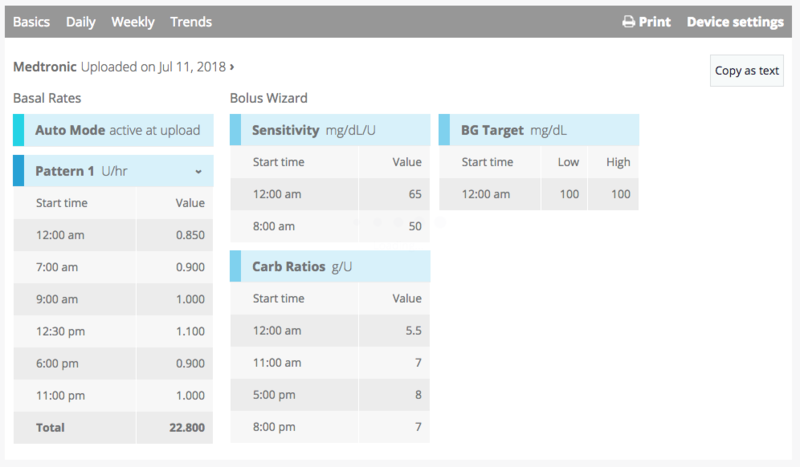 Medtronic 670G insulin pumps do things a little differently than the rest of the insulin pumps Tidepool currently supports. To account for those unique features, we made some specific updates to the Basics and Daily View. It may be helpful to review this guide detailing Tidepool's Daily View, and this guide detailing Tidepool's Basics View first. This guide will walk you through uploading your Medtronic 670G data with the Tidepool Uploader. Summary widgets includes percent time in Auto Mode. The Basals section includes Auto Mode exits. Blood glucose meter readings have a variety of different states depending on how it was taken and what you did with the reported value. Here’s a breakdown of each label. Source - Manual: a blood glucose reading entered into an insulin pump from a non-linked meter or continuous glucose monitor. Source - Linked: a blood glucose reading transmitted by a linked blood glucose meter. Confirm BG - Yes: the recorded blood glucose reading was accepted (confirmed) on the pump screen. Confirm BG - No: the recorded blood glucose reading was not accepted (unconfirmed) on the pump screen. Confirm BG - Timed Out: the pump screen timed out before a recorded blood glucose reading was accepted or rejected. 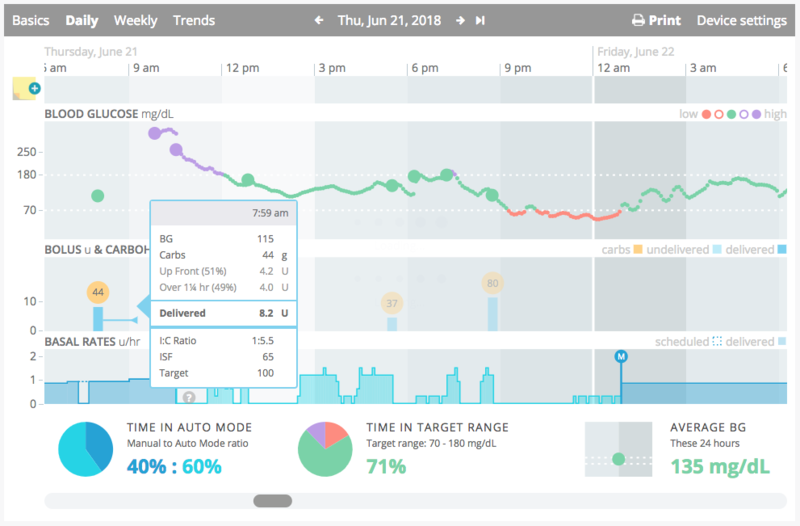 Bolus details now show a target of “Auto” while in Auto Mode. 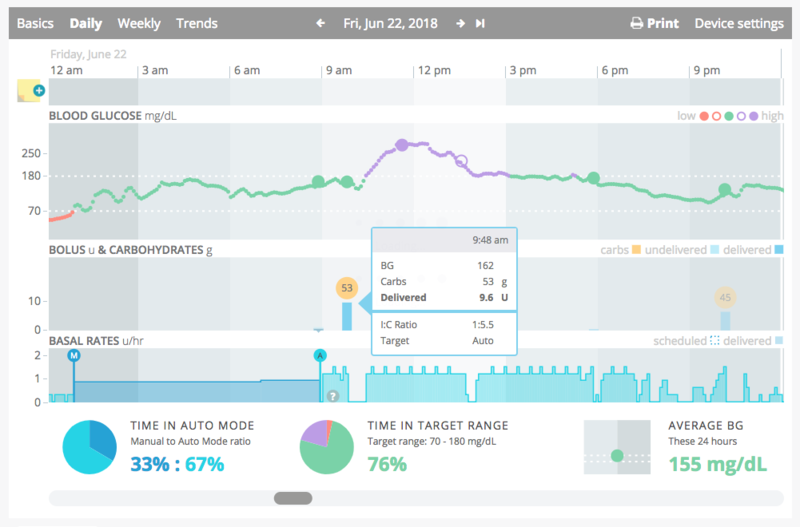 Hover over a bolus to see additional details. In Manual Mode, Bolus details continue to show the appropriate target based on your pump settings. 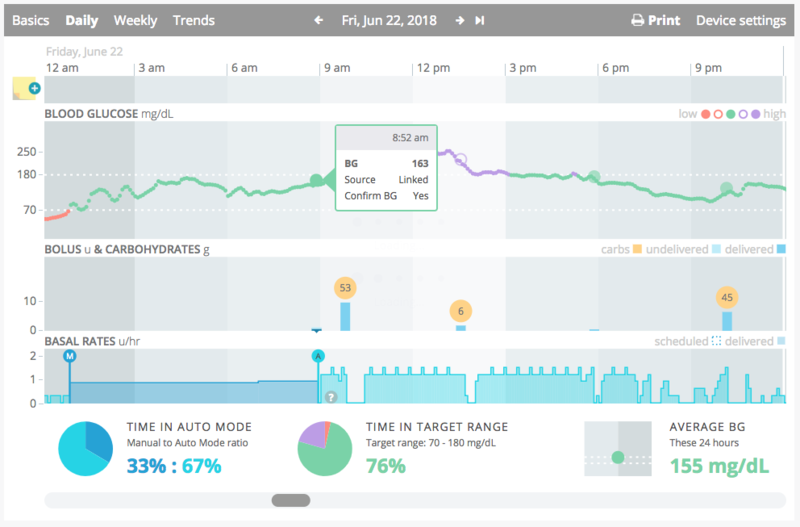 The Daily Statistics section now shows a Time in Auto Mode widget, replacing the Basal to Bolus ratio widget. 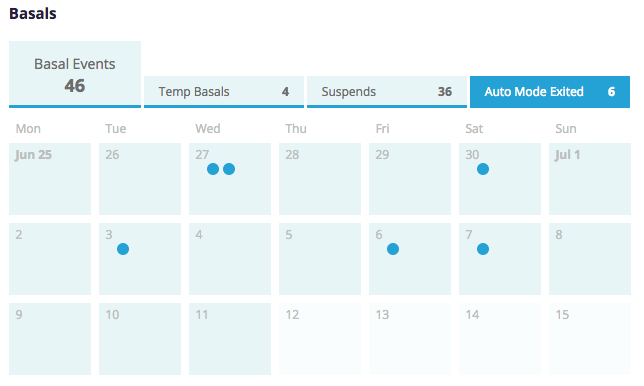 You can hover over basal rates to identify timing and amount of an Auto Mode basal rate. You can also hover over basal rates to identify timing and amount of basal rate while in Manual Mode. 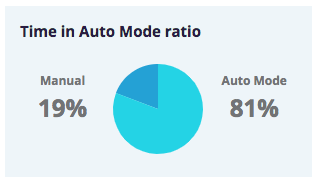 The Device Settings page will indicate if your last upload was made in Auto Mode.